Twenty years ago Gidon Kremer created ideal conditions for a musical revolution. The internationally acclaimed violinist unveiled his new initiative at Austria’s Lockenhaus Festival in the summer of 1997. The birth of Kremerata Baltica – comprising twenty-three outstanding young musicians from Latvia, Lithuania and Estonia – was greeted with a standing ovation. The orchestra has since captivated audiences worldwide with playing of unrestrained joy and programming of limitless imagination. Kremerata Baltica arose from Gidon Kremer’s determination to share his rich experience with young colleagues from the Baltic States. The ensemble’s preparation process, which holds no room for artistic compromise, is ruled by a commitment to excellence and creative daring. In addition to exploring works from the repertoire mainstream, Kremerata Baltica has also delivered world premieres of compositions by, among others, Lera Auerbach, Leonid Desyatnikov, Giya Kancheli, Arvo Pärt, Georgs Pēlecis, Alexander Raskatov, Valentin Silvestrov, Victor Kissine, Sofia Gubaidulina and Pēteris Vasks. Kremerata Baltica’s repertoire breadth is reflected in an award-winning discography that spans everything from Mozart’s complete violin concertos with Gidon Kremer, Enescu’s Octet and Astor Piazzolla’s Tango Ballet to first recordings of music by Kancheli, Kissine and Pärt. After Mozart on Nonesuch Records won Grammy and ECHO Klassik awards in 2002, while albums of works by George Enescu and Mieczysław Weinberg have since secured Grammy Award nominations. Kremerata Baltica has performed in over 50 countries, presenting over 1,000 concerts in 600 cities. It makes regular appearances at many concert series and festivals, including Berlin’s Schloss Neuhardenberg, Bavaria’s Schloss Elmau and others. The ensemble has broadened its work in recent years to include “To Russia with Love”, a concert staged at Berlin’s Philharmonie in 2013 to promote the cause of human rights in Russia, and its latest creative project, “Pictures from the East”, a collaborative venture with Syrian artist Nizar Ali Badr highlighting the desperate plight of refugees from conflicts in the Middle East. Since 2003 Kremerata Baltica has held its own Festival in Latvia. Kremerata Baltica celebrated its 20th anniversary and Gidon Kremer’s 70th birthday year in 2016-17 with tours in the Middle East, United States, Europe, and Asia under Maestro Kremer’s leadership. 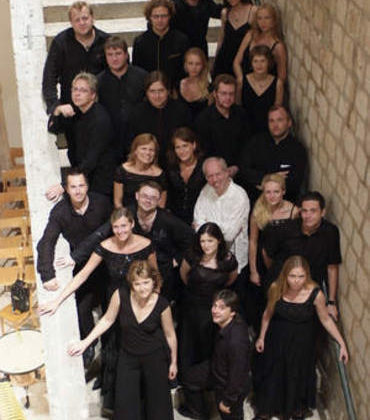 Founded in 1997 by the renowned violinist Gidon Kremer, the Grammy-Award winning chamber orchestra Kremerata Baltica is considered to be one of Europe’s most prominent international ensembles. Maestro Kremer intentionally selected young, enthusiastic musicians to stave off the dreaded “orchestritis” that afflicts many professional orchestral players. Essential to Kremerata Baltica’s artistic personality is its creative approach to programming, which often ranges beyond the mainstream and has given rise to numerous world premieres. Since its establishment Kremerata Baltica has played in more than 50 countries, performing in 600 cities and giving more than 1000 concerts worldwide. The orchestra also serves as a medium to share Gidon Kremer’s rich artistic experience with the new generation and, at the same time, to promote and inspire the musical and cultural life of the Baltics.